We need to be treated for #palliativecare instead of basic #pain care! #Sicklecell falls under the hospital guidelines but most ignore that fact! 37 TRILLION cells flowing and DAMAGING everything it touches! Awareness DOES NOT STOP people! Awareness for those who have any chronic illness is 24 seven! Every breath that we take we are saying to the world that we are here in spite of this illness. That alone should want others to know about the illness we are dealing with. When someone comes to you with questions answer them to the best of your ability and if you don’t have the answers send them to someone who does. This website was started because I needed answers and when I found answers I have to share them. That breath the website that you are on now and this website gave birth to a brand new website which is called WWW.situpnow.com and that is aimed at our children those soldiers in training and their families so please visit and tell me what you think. Make the care of your patients your first concern. Develop and maintain your professional performance. Apply knowledge and experience to practice. Record your work clearly, accurately and legibly. Contribute to and comply with systems to protect patients. Respond to risks to safety. Protect patients and colleagues from any risk posed by your health. Work collaboratively with colleagues to maintain or improve patient care. Teaching, training, supporting and assessing. Continuity and co-ordination of care. Listen to and respond to their concerns and preferences. Treat patients and colleagues fairly and without discrimination. Sign your family up NOW!! I need 10 children/youth to join our Youth Self Advocacy Training Program. Parents for details please inbox or leave your name on the post. Your child will receive a Certificate & $25 VISA gift card after the 12 week Training. It’s interactive & only requires a 30 min weekly group call plus a weekly assignment on leadership. One monthly community service activity within the sickle cell disease community. Being treated like a CRIMINAL when sick! What is the real job of a #Hospitalist? It is becoming apparent that the management of pain in patients with sickle cell disease is not as straightforward as once thought. The frequency of painful episodes is grossly underestimated, largely because of prior beliefs that healthcare utilization adequately represents the incidence of crises. Recent studies, however, have shown that the majority of a patient’s pain is actually managed at home. Although the variety of analgesic medication to treat sickle cell pain is seemingly endless, we have seen that each medication has its own set of drawbacks. It is therefore imperative that the clinician tailor medication regimens to the individual patient while being vigilant in recognizing and managing possible complications of each treatment. We have also observed that the nature of the patient’s pain, whether acute or chronic, can vary during the course of the illness. The subtleties distinguishing these two types of pain can often be overlooked, especially when clinicians fail to recognize key descriptors the patient may use to describe the pain. Better communication between patients and physicians may help to create a clearer understanding of what the pain patients are experiencing away from the healthcare setting. Not only does this aid in more effective management of the patient’s pain, but it also helps to foster a stronger doctor–patient relationship, which in turn works to dissolve many of the social stigmas that currently exist regarding sickle cell disease. Adding God's meds to our prescribed! There are a few hundred joints in the whole human body and each and every one of them can be at risk for damage caused by avascular necrosis. VERY promising. procedure MAY be the answer 2 our prayers! WHY DO I EVEN NEED WATER? WELL. THIS IS WHY! Many of us believe drinking liquids like fruit juice, tea, or soda will keep the body hydrated as well as water. The truth is these beverages contain copious amounts of sugar and salt that are absorbed and then flushed out of our system with the help of... water. Drinking eight 8-ounce glasses of waterevery day helps prevent not only a dry mouth and throat, but also the onset of several disease and illnesses. In Get Skinny Be Happy’sinfographic “Got Water? Why Dehydration Is Making You Fat And Sick,” it states the process of dehydration starts even before we begin to feel thirsty. 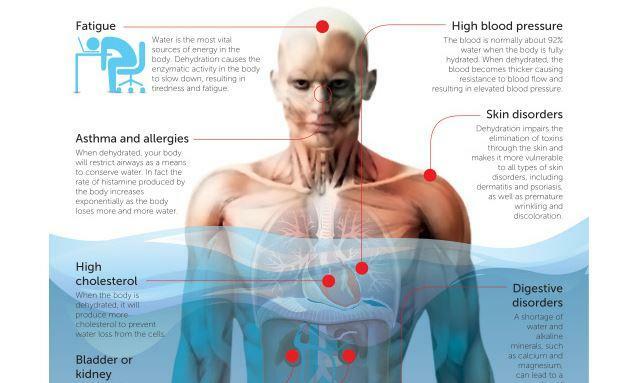 Sipping water throughout the day is the best way to combat thirst. Drinking a nice cool glass of water as soon as we awaken will help boost up blood pressure to normal levels and become a way to prep the stomach before ingesting foods. What's RACE got to do with this? The Black Panthers plans for the SickleCell Community were Sabotaged! Go to their website and click JOBS /HIRING then make sure you put WORK FROM HOME and they will filter out the jobs that are available for us. Disability Discrimination: Have you been cut loose bc of your illness? WHAT DOES THIS NUMBER HAVE TO DO WITH THE SICKLE CELL COMMUNITY? Sickle Fact: Time to Stand 2 Stop the Suffering! The campaign will begin SOON! DO YOU GUYS BELIEVE THIS MESS!? Go 2 nxt page 2 respond. .. When patient safety and patient rights are compromised, those affected may believe they are subject to some form of medical mistreatment but due to a lack of information and awareness they are not always aware of the avenues of assistance available to them. These could include consulting with support charities, for example, which are able to provide patients with advice, support and guidance with regard to their medical illness, condition or complaint.The team at Mistreatment.com has extensive experience in dealing with a variety of in areas where complaints may arise such as mismanagement relating to cerebral palsy, birth injuries, GP negligence, misdiagnosis and delay in treatment of a medical condition, upper and lower limb amputations, cosmetic negligence, dental negligence, surgical errors, prescription errors, fatal accidents, and post-operative negligence, for instance. The team at Mistreatment.com are aware of the physical, emotional and psychological effects such mistreatment may cause to patients and their families. Whether it is our advisory and guidance services, we also work with our expert health care and medical mistreatment lawyers to ensure that Mistreatment.com provides an efficient, responsive and considerate service to help investigate the circumstances of your enquiry and may be in a position to pursue a medical compensation claim if you wish.